Nobles park in Douglas now has another attraction in the form of a game of Cluedo which you play using your smartphone. The game takes you around the park looking for the clues to solve a mystery – the murder of a visiting celebrity, Bob Sled, the famous Olympian. A virtual detective, Hugh Dunnit, accompanies you as you try to find where the murder took place, what the murder weapon was and who murdered Bob Sled. You play the game exactly like the board game Cluedo but instead of ‘rooms’ you move to different areas of the park. The virtual cards are shuffled by your smartphone app and dealt between you and the virtual detective. 4 random ‘cards’ are placed in 4 random areas to be used as clues. As you move around the park you can ask the detective if he has a particular ‘card’ and using his answers plus any clues you find you will be able to solve the mystery. Once you think that you know the answers you can make your accusations and if you are correct it will lead you to …. … Well if we told you any more it may spoil the surprise! Anyone can play the game and you don’t have to be a Geocacher but it is based on Geocaching and its spin off game ‘Wherigo’. If you are a geocacher you will appreciate it even more! To play you need to download the Wherigo app which is available for both Android and iPhone. 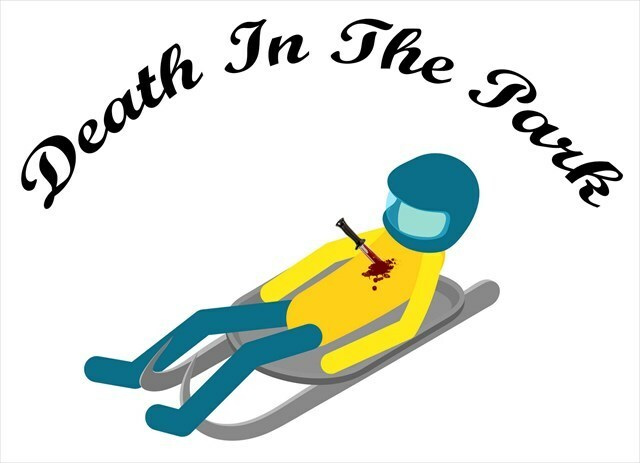 All the details on how to play are given on the geocaching website here – Death In The Park. Geocaching geocaching, Isle of Man, wherigo. permalink.